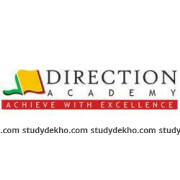 Developing Success is situated at Nangal Raya, Janakpuri, is a well-known institute imparting knowledge to crack the most difficult and tricky entrance examinations. The institution is set up to reduce the obstacles in the path of those want to passionately pursue their dreams. Considering the significance of these exams, the Institute provides their students with dedicated faculty, best course content and proper study guide. We aim at building a classroom where there is a dialogue and not just a seminar room where a monologue is conducted. The teachers are easily approachable and very helpful. The faculty pays proper attention towards each and every child and prepares the best course material to make them understand each and every topic of the syllabus.